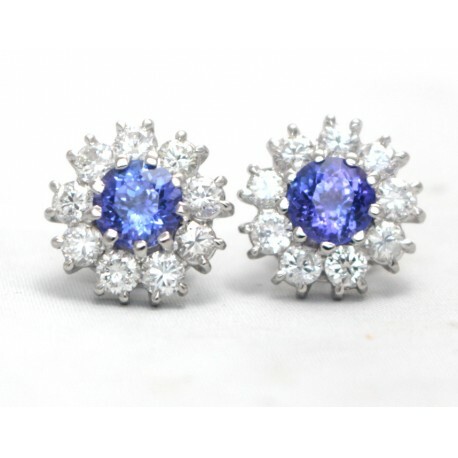 This stunning pair of earrings feature a round cut tanzanite set in the centre, set in claw mount. Round brilliant cut diamonds surrounding the tanzanites. 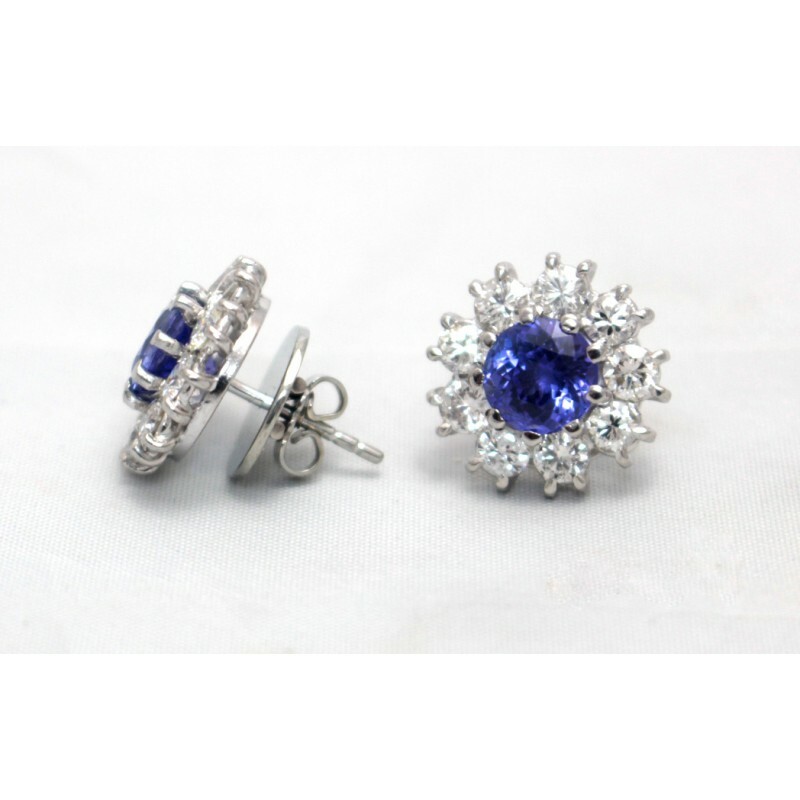 All stones set in 18ct white gold. Post and butterfly fittings.